The Cook N Home 4 Quart 3-Piece Vegetable Steamer Pot, Stainless Steel has a mesh basket for cooking vegetables, pasta, proteins, etc. Mesh design drains liquids quickly. Deep basket can be used as a colander for straining and blanching. For steaming: fill water to below basket level, add basket when boiling, and cook to desired doneness. Tempered glass lid with steam vent makes viewing food easy from start to finish. Induction compatible. Works on gas, electric, glass, ceramic, halogen, etc. Dishwasher safe, hand wash strainer. 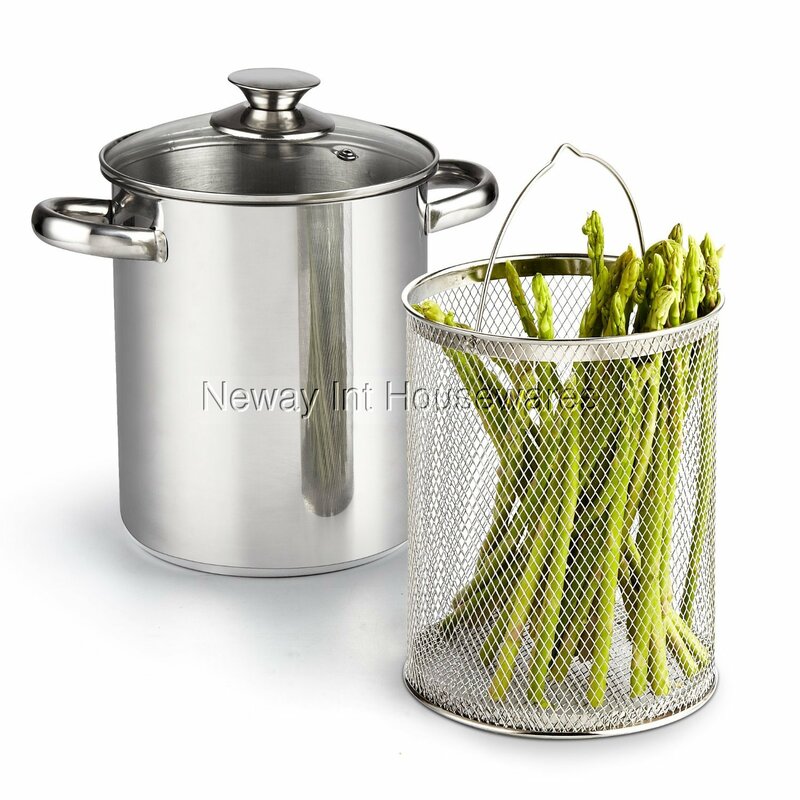 Wire mesh basket is ideal for steaming asparagus, vegetables, proteins, etc. Deep size basket can use as a colander to rinse fruits, vegetables, pasta, et. Induction compatible. Works on gas, electric, glass, ceramic, halogen, etc.